Cases that involve accidents and personal injuries can vary greatly. Some personal injury lawsuits can be settled quickly while others might take a long time - perhaps even years until there is some type of resolution. But before you worry about your case taking longer than expected, let's talk about personal injury lawsuits so we can help you set expectations. In most personal injury cases, a lawyer will take a client's case on a contingency fee. This means that the lawyer will only get paid if and when the client gets paid. If you are worried about how slowly your personal injury case may be proceeding, remember that your personal injury lawyer won't be paid for all the expenses and time spent on your case until you get paid. 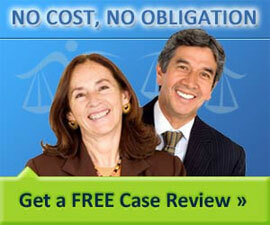 Chances are that your attorney wants to get paid as quickly as you do! This fact should be pondered by a client before even considering whether another attorney could get better and quicker results - in many instances, this is likely not the case. In some cases, the evaluation of damages is relatively straightforward. For example, if you shipped goods to a vendor who didn't pay the amount due on the invoice, it is simple to calculate damages. But personal injuries are not an exact science. Often it may take some time to fully diagnose your injury as well as its severity. It may take several months until any medical professional can say with any reasonable certainty that a personal injury is permanent in nature. Since you only have one opportunity to evaluate your injuries for compensation, it is important to get the estimate right the first time. The courts in several states have more personal injury cases filed than they can handle efficiently. Your case might be filed in a timely fashion but the packed court calendar might mean you have to wait much longer than you might generally expect for your case to be heard. Each party has the ability to learn more about the facts making up the other party's case. Each party can ask specific questions, for example, the names and contact information of witnesses and experts that they plan to have testify. Each party can also send "interrogatories" or specific questions that are relevant to the case that must be answered by the other party. In addition, the injured party may be required to undergo a medical exam by a doctor independent to the parties to verify the injuries that are claimed. This entire process can easily take 6 months to one year's time and possibly more. There are many "motions" or requests of the court for something to occur that are made by attorneys on each side. These motions could request that the court deny evidence claiming it is inadmissible or may ask the court to dismiss the case due to the fact that isn't enough evidence to support the claims made by the personal injury plaintiff. Prior to a case going to trial, questions may be asked of the parties of each case and they must respond truthfully, under oath. The answers are recorded by a court reporter, who is present, and this record may be used at trial. You will likely be asked questions about the accident and the extent of your injuries as well as your background, such as your education, the condition of your health, how you felt and what life for you was like prior to the accident. Before a case can go to trial, the courts usually require that the parties have conferences to settle a case or make attempts to settle using a mediator or arbitrator. A mediator is a neutral party who reviews all the evidence and tries to convince both sides of what he or she believes is the fair middle ground for a settlement. An arbitrator is a neutral expert who acts similar to a judge, who listens to the evidence presented and decides issues relevant to the case. Arbitration is usually quicker, more informal and less costly than litigation in trial court. If after all the prior procedures the parties still cannot reach a settlement, the case will go to trial where a jury will hear the case and decide whether the plaintiff should win the case and, if so, how much the case is worth. The time it takes to have a trial scheduled depends upon the place where you live and it can take at least 6-12 months just to get the trial on the court's docket. While you may be feeling impatient and feeling a sense of anxiety about your unresolved personal injury claim, you should always remember the golden rule about most settlement offers from insurance companies - rarely is the first offer the best offer. Sometimes a little extra patience can go a long way. After obtaining a good understanding of your case through your case review with your personal injury lawyer, periodically be in contact with your lawyer so you understand the calendar of your case. Don't call too often - just enough to understand when the next appropriate time is to check in with your lawyer, who is likely very busy prosecuting claims. Setting expectations for delay and understanding the nature of legal process will help any personal injury client maintain greater patience and maximize the award that they might receive for their injuries.